The Smoke Rise Riding Club USEF events are currently underway at our beautiful Smoke Rise Farms facilities. Ours shows offer many exciting moments for riders and spectators. 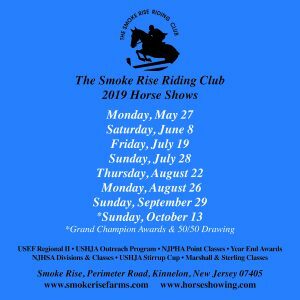 Horses/riders accumulating the most points in each division during our public horse show season are eligible to receive Grand Champion awards and prizes.